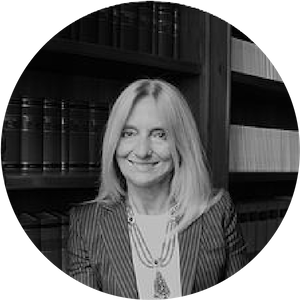 Ms. Pierallini has practised aviation law since 1988, providing expert advice to clients across the whole of the international aviation sector, including aircraft finance and leasing, litigation and dispute resolution, employment and corporate issues. Her clientele include Italian and foreign airlines, manufacturers, lessors, financiers, airports, handlers and travel agents. She also assists her clients in regulatory matters, including advisory services and representation before governmental agencies, such as Antitrust Authorities and Civil Aviation Authorities. Ms. Pierallini also advises airlines and airport handlers in restructuring and insolvency procedures. She has advised on IPOs of Italian airlines at the Milan stock exchange and M&A of domestic airlines by foreign airlines. She is an adviser to the Italian Association of Air Carriers and has succeeded in challenging a resolution of the Italian CAA related to airports’ charges before the Administrative Supreme Court (Consiglio di Stato). Ms. Pierallini regularly attends and organises conferences on aviation, delivering speeches and moderating panels at various Italian and international symposia, in particular organised by the International Air Transport Association (IATA), the European Air Law Association (EALA), the European Aviation Club (EAC), the International Bar Association (IBA) and the Italian Association of Air Carriers (Assaereo). Ms. Pierallini is also a committee member of the European Air Law Association (EALA), and a member of the International Aviation Women’s Association (IAWA) and the European Aviation Club (EAC). She is author of many publications on aviation, tourism and commercial law, and contributes to the Italian chapter of: “Getting the Deal Through – Air Transport”; “Getting the Deal Through – Aviation Finance & Leasing”; “International Law Office – Aviation”; “Airfinance Annual”; “Aircraft Finance and Aircraft Liens”; “The International Comparative Legal Guide to Aviation Law”; “Practical Law – Aviation Finance Global Guide”; “EC Regulation No 261/2004 – Passengers’ right to compensation in case of flight delay. Looking for a fair balance of interests. The role of the European Court of Justice and the risk to waist a chance of reform”, Liber Amicorum John Balfour; “Air Passenger Rights, Ten Years On”, Michal Bobek, Jeremias Prassl. Ms. Pierallini was shortlisted as Best Aviation Lawyer for the Europe Women in Business Law Awards in 2015, 2016, 2017 and 2018 and recognised as Thought Leader of Aviation by Who’s Who Legal Expert Guide of 2018 and 2019.